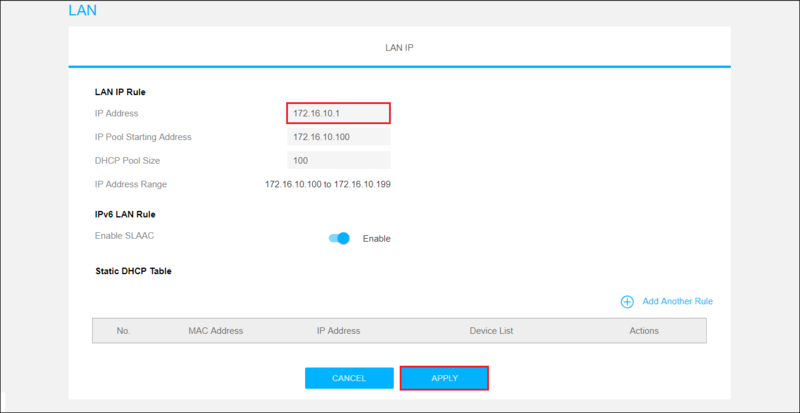 How to change the LAN IP address of Multy Plus (WSQ60) via Web GUI? Step 1: Access the Web GUI with a web browser. Open a browser such as Chrome, Firefox, Safari and so on. Type http://zyxelwifi.com, http://zyxelwifi.net or http://192.168.212.1 (default IP address) in the address bar of the browser. In order to be able to access the Web GUI, you might have to get the correct IP address which is assigned from the router if your Multy Plus (WSQ60) is in bridge mode. Step 2. 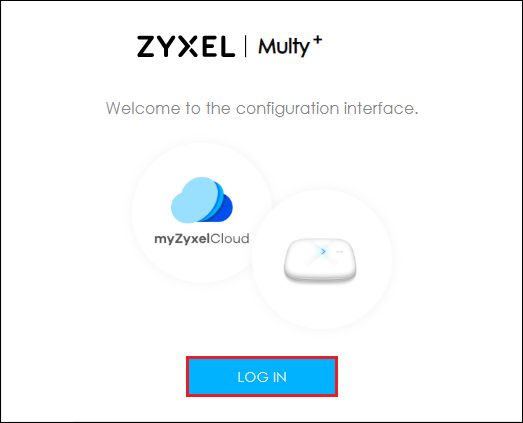 Log in with your myZyxelCloud account. Step 3: Click the "Menu" icon. Step 4: Find and expand "Settings" in the menu list and click "LAN". Step 5: Modify "IP Address" in "LAN IP Rule" and click the "APPLY" button.